In one of the most egregious violations of the First Amendment’s guarantee of free speech seen in quite some time, Tarek Mehanna, an American Muslim, was convicted this week in a federal court in Boston and then sentenced yesterday to 17 years in prison. 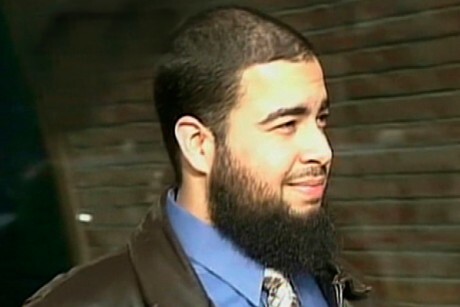 He was found guilty of supporting Al Qaeda (by virtue of translating Terrorists’ documents into English and expressing “sympathetic views” to the group) as well as conspiring to “murder” U.S. soldiers in Iraq (i.e., to wage war against an invading army perpetrating an aggressive attack on a Muslim nation). Adam Serwer several months ago wrote an excellent summary of why the prosecution of Mehanna is such an odious threat to free speech and more background on the case is here, and I’ve written before about the growing criminalization of free speech under the Bush and Obama DOJs, whereby Muslims are prosecuted for their plainly protected political views — but I urge everyone to read something quite amazing: Mehanna’s incredibly eloquent, thoughtful statement at his sentencing hearing, before being given a 17-year prison term. Exactly four years ago this month I was finishing my work shift at a local hospital. As I was walking to my car I was approached by two federal agents. They said that I had a choice to make: I could do things the easy way, or I could do them the hard way. The “easy ” way, as they explained, was that I would become an informant for the government, and if I did so I would never see the inside of a courtroom or a prison cell. As for the hard way, this is it. Here I am, having spent the majority of the four years since then in a solitary cell the size of a small closet, in which I am locked down for 23 hours each day. The FBI and these prosecutors worked very hard-and the government spent millions of tax dollars – to put me in that cell, keep me there, put me on trial, and finally to have me stand here before you today to be sentenced to even more time in a cell. Why doesn’t MDI have its own twitter page? There is nothing called “Freedom of Speech”. It is all about of drones and F-16s; whoever has them has the right to define “Freedom of speech” others can abide by it OR else become Tarek Mehanna – a labelled perpetrator. Eventually the pot of iniquity will fill and subsequently burst. Wait even we are waiting with tears in our eyes. Whenever the Christendom waved crusades , their arose a Saladin .The Christendom have again started them ,again will rise a Saladin. The way to overcome America is to beat it in science and technology and to beat it in the economy .But how to do that ? Each and every Muslim should read ,research ,help others to do the same and to be top in what ever field they are ,work sincerely ,work ,work and work ,do not quarrel among each other ,help the poor ,be right ,do not harm innocent,whenever we see injustice happening to our people we should not respond emotionally instead we should work more ,educate our women ,establish institutes in our countries, establish libraries, establish business centers be top in it ,do not harm our Christian and Jew brothers, speak truth always,do good deeds ,open hospitals,open research centers,lead the world in science and technology and be an example to the world, then we will overcome it . 7)The number of Muslim entrepreneurs in the world are less than that of entrepreneurs in India alone. 8)There is no Muslim country in the top economies in the world . 9)Muslim scientist who do research and have won noble prize are virtually absent . PLACE HOPE IN GOD .BUT GOD HELPS THOSE WHO HELP THEMSELVES .WORK AND WORK AND WORK, EXCEL IN WHATEVER WE ARE DOING AND ONE DAY WE WILL OVERCOME. The question is whether Islam can overcome using the means you mention without becoming what it is fighting. All of the things the West used to achieve what is currently viewed as its “successes” have led it farther and farther away from God. Perhaps if Islam “wins” via the means you mention, it will be up to Christianity to rise and restore worship of God to a world made secular by a misshapen Islam. I would like to share your fact. I dont think that brother Jesus wanted to say how you interpreted it. Rising in Science and Technology must not necessarily mean giving up of Faith and Islam – those two may not be mutually exclusive. In fact, those two were not mutually exclusive, we had our best days in which we advanced in both fields – we did monumental works in Islam (volumes after volumes of Islamic literature came out) and Science was ruled by us at the same time. I think what is happening now is, we are moving nowhere – faith and deed generally is decayed if not low spirited and we have just no standing in technology. This was just an opinion. Mr Williams thank you for posting this speech, and your support for a man who supports the enemy of my country as well as yours. what enemy is that? The enemy that is fighting the brutal occupation of their own countries? I am not a nationalist when it comes to injustice, are you? Do you believe in the bankrupt maxim my country right or wrong? First let me state very clearly. Although I did support the invasion of Afghanistan because it was just that the USA invade any country in order to remove, capture and or Kill anyone who was involved with Al Quida and 9-11. That includes the country of your birth. Let me ask you do you think it was an injustice for the Taliban to actively support, and harbor Al Quida after 9-11? Or are you one of those 9-11 conspiracy nutters? If the Taliban would of just turned over Al Quida there would have been no reason for the invasion, it would of saved a lot of lives. But bringing Muslims to justice is injustice to you. Secondly all though I did support the invasion of the Afghanistan for the sole purpose of capturing and or Killing Al Quida I did not support and do not support “Nation Building” or “Regime Change” in other words after Al Quida had been driven out and destroyed, after your Sheik Osama Bin Ladden was killed then the US should unilaterally with draw from the region. Finally I did not support at any time, the Invasion of Iraq. That was an unjust invasion. I spent three days in Jail for protesting on the second night of the invasion. I also found it unjust what was done at Al Garrab prison, I think that the top brass should have been held accountable, and it was an injustice that this did not happen. I find many things that are wrong with the USA, but one thing I do not do, one thing a citizen of a country does not do is betray that country to a foreign government, or entity. We protest, we strike, we file law suits, we boycott, we write letters WE VOTE. But we do not give support, sympathy, aid and or comfort to those that are killing our own people. This is something you Muslims do not understand, and it is the reason why I support repatriation of Muslims to the land from which THEY FLED. Or in the case of reverts like yourself, living on a reservation where you can have Sharia all the Sharia you want. Now let me ask you something. Is there any thing that a Muslim could do that would justify you supporting the Kuffar instead of the Muslim? Or do you believe in the Maxima “The Kuffar are the worst of creatures and the believers the best.” and “Do not take for protectors from amoung the Christians and the Jews”? My answer is simple: I support the right of people to resist by all means necessary the brutal military occupation of their country, wherever they are in the world. Secondly, Islamic teaching is absolutely clear: killing non-combatants or targeting innocent civilians is a serious crime and utterly prohibited in Islam. Radicalmoderate01, I wonder whether there is any action which your country could take that you might oppose? Could your country commit any injustice? And if your country committed an act or acts which you saw as injust, would you still support your country in that act or acts which had been committed in your name? in other words, as i said, do you believe in the maxim ‘my country right or wrong’? I believe I answered the first part of your question to in my Response to Mr Williams. To answer the second part if I would support my country if I found it did something injust commited in my name the answer is YES. Here is how I would and do still support it. I wonder if there is any action the UMMA could take that you might oppose? Could the UMMA commit any injustice? ANd if the UMMA commited an act or acts whic you say as injust, would you still support your UMMMA in that acts or acts which ad been commited in yoru name and the name of your religion and GOD? One more thing, the traitor mentioned in his rant Paul Revere. If Paul Revere would d of been caught by the British, he would of been HUNG. That would of JUSTICE. Radmod, were you to protest and strike against the actions of your country, you do not believe that would be giving support, symptathy and comfort to those who are killing “your own people”? You ask about the Umma. As you likely know, the Umma is the community of believers. The Ummah is not an organized political entity with a unified will. So, I will assume that you are asking me whether I would oppose any actions committed by other Muslims in the name of Islam. Of course I would. Especially if those individual members of the Ummah were acting in direct opposition to the actual dictates of the Qur’an and Islam, as were Al Qaeda in attacking the World Trade Center, as was Mohammed Merah in killing innocent children and non-combatants, etc. To answer your first point. Working with in the system of the government is not is giving aid and compfort to Muslims. What is giving aid and compfort to Muslims is what that man did. He traneslated Propoganda material. Big difference but you do not see that. Thank you for having the coruage to answer my question unlike Paul Williams. So then I take it since you believe it was an injustice for Al Qeada to attack the US on 9-11 you supported the US invasion of Afganistan to remove, capture and or Kill Al Qeada. RM01 do you not have a spell check on your computer? If you do please use it, as it is a basic courtesy to write text without a mass of elementary spelling mistakes. Your logic is flawed: I by no means support the US invasion of Afghanistan. It was simply one injustice to answer an earlier injustice and has resulted in far greater suffering than that inflicted by the events of 9/11 on the US. The US should have worked with Afghanistan to bring Al Qaeda to justice or, failing that, sought diplomatic solutions. Waging war against Afghanistan is a horrific, horrific act and out of all proportion to the original offense. Another one last thing. Was it Just for the Geraman people to defend their country when allied forces invaded Germany? A armistice could of been singed after they where driven out of france and easttern Europe. The Allies could of just stopped at the border. If it was just for the German people to “defend their lands” would it have been just for a German American, or a German Englishman to translate Nazi propganda material into English? Paul Williams thank you for NOT answwering my question, and in doing so you have in fact answered volumes. to be blunt RM01 I didn’t understand your question: the English was so badly phrased and the spelling so poor that I gave up in the end. To successfully engage in debate on this blog you need to have reached a fairly competent level of English expression. Sadly not everyone has this. Really Mr Williams, seems like Ashmath undestood it. Becasue he or she answered the question. Maybe its just you who doesnt want to answer the question. not everyone is as clever as Ashmat. I still think you owe us the courtesy of writing good basic English that can be easily understood by everyone, free from masses of spelling mistakes. Not too much to ask don’t you think? blind faith is NOT patriotism nor loyalty. Every loyal, patriotic citizen of a country must require the “propoganda”/views of those they oppose in order to ensure that their own positions are really just. Without this excercise, a citizen can be in danger of being held captive to the self-interest of a group or groups. Therefore, if the citizens of a country are confident of the ethico-moral principles/ideals that govern their own “propoganda”/views–then there should be no censorship of opposing “propoganda”/views. In fact, a responsible government–that truly believes in representing the people—would encourage such freedoms. Only a government that knows it does not have a leg to stand on, would encourage blind faith/patriotism.